The African Union has been a major factor in establishing peace, security and development in Africa. 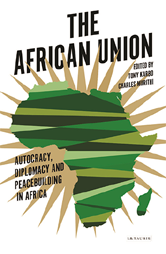 This essential handbook, from one of the leading research institutions on the continent, seeks to uncover why the unification project has remained so elusive and the understanding of the issues surrounding it. What Capacities for the AU Comission?